Sceptical about trying DealDash.com? Don’t worry I was skeptical too and this is what I learned. Just to start I will have to own up to the fact that I am not an “online” person when it comes to anything to do with a computer. Just like to do things the old fashioned way like keeping real accounting books, writing actual letters or cards and picking up the phone when you want to talk with someone, not texting. So when I heard about Deal Dash I had no clue to what it was or even how to do it. Could it be true? Needless to say I am online bidding or watching Deal Dash almost everyday. Who would have thought? I started with research and questions. What is Deal Dash? Who are they? What do they offer and is it for real? What I found out was astonishing. Yes Deal Dash is real and fair. The products are 100% brand new and of good quality. Best of all you can win an auction if you play with integrity. I have received all of the auction items that I won and all of the Buy it Now (BIN) orders too. There has never been a mix up on what I have been charged or any wrong number of bids deducted or placed in my account. I am a small business owner myself and to run a company ethically and with hardly any mistakes is a huge achievement in itself. If you ever have to contact customer service for anything, which I have had to do because I was confused, every person employed at Deal Dash has the best customer service skills I have ever encountered, including my own! So with a little learning, everyone young and old and everyone in between, computer savvy or not, can be a Deal Dasher too. If you need any help with anything all you have to do is call or email customer service and they will be glad to help. You can also read about good bidding tips from this blog site where the articles are written by people who have experience shopping on DealDash. Thinking of trying DealDash.com, NO skepticism required. This entry was posted in Bidding Tips, Home, Review and tagged Auctions, Bidding, Deal Dash, DealDash, dealdash.com, penny auctions, skeptical on June 30, 2014 by . One of the absolute best reasons for bidding on DealDash.com is their Buy it Now option. While other penny auction sites offer a buy it now feature, none of them offer to return ALL, yes I said ALL, of your bids back for free!!! I can buy it now for the full retail price (say $25 for a $25 gift card) and have all of my bids returned to bid again if I would like. After all, if there are 30 bidders all going for the same item, and you have reached your own personal limit, the buy it now option lets you get the item you wanted, and for free, all of your bids come back to you to try again. Oh, and shipping is always free on DealDash. You really don’t lose. My daughter says I skip to the mailbox! Not sure about that, but I am awfully happy to collect my winnings and plan my next adventure on DealDash! I’m a grandma of two boys, who are my pride and joy, and a retired HR Specialist currently working as a volunteer manager at a non-profit. I have been playing penny auctions since 2011 as it lets me enjoy being competitive and win. You don’t get those opportunities at work or being a spectator of sporting events. This entry was posted in Home and tagged Auctions, Bidding, Buy it Now, Deal Dash, DealDash, dealdash.com, penny auctions, Winning on June 29, 2014 by . My “job” is as a nanny for a sweet little 12 month old girl. I have cared for her since she was 6 weeks old. This is work that I have done for family and friends for almost 8 years. I sometimes go to my own home during the day for a few hours. 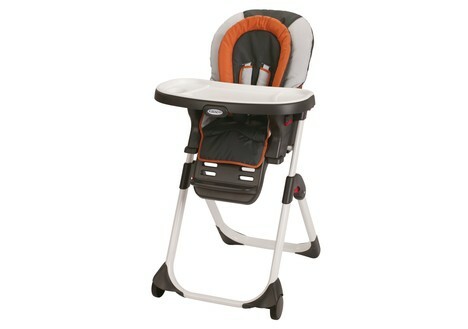 My high chair was worn and a little ratty so I tossed it and needed to buy a new one. 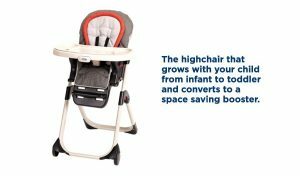 I saw a Graco DuoDiner 3-in-1 High Chair come up for auction on DealDash.com during a “Final Auction Price FREE” promotion. I have always gotten my best deals during FREE promotions so they are my favorite. I had just collected 630 FREE BIDS for reaching level 41 on DealDash. I used 447 bids for the high chair. I was lucky enough to win the chair and then only pay $0.01 for it with FREE shipping!! What a great deal! The high chair arrived yesterday and I am simply thrilled with the item and the quality! Savings just does not and can not get any better than that! Thank you Deal Dash!!!! This entry was posted in Home, Review and tagged Auctions, Bidding, Deal Dash, DealDash, dealdash.com, Graco high chair, penny auctions, saving on June 28, 2014 by . One of the most frustrating things about bidding on DealDash is the “Newbies”. A newbie being a bidder who has joined Deal Dash within the last few days or weeks. So here are a few tips to help the brand new bidder. 1. READ the tips and info on the Dealdash site called “How it Works“. Knowledge is a powerful tool so learning all you can first will make you a more successful bidder. I read everything I could on the site. If I see you haven’t even written your Bio and collected those 3 free bids, then you haven’t read any bidding tips on the website. 2. CLICK on the auction to open it. This way you can see how many bidders are in the auction. 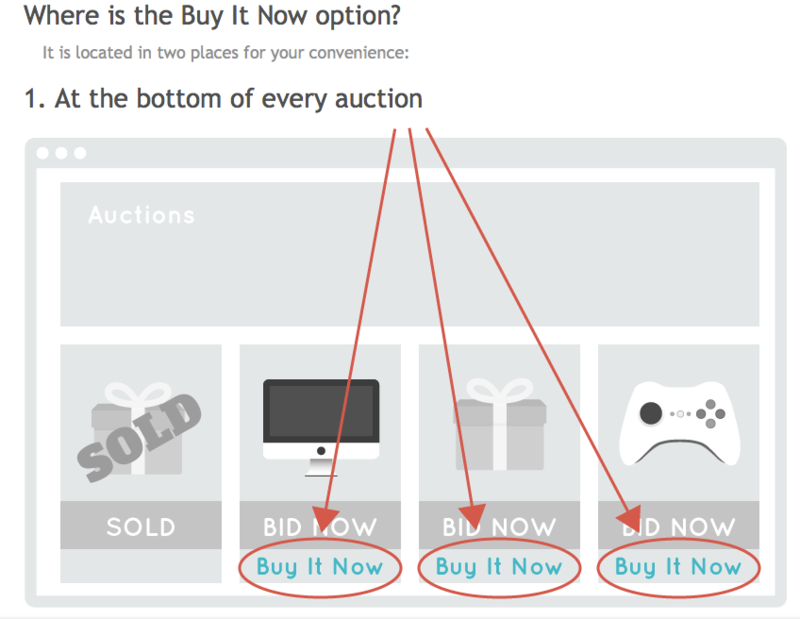 You can see your Bid Buddy, plugs in bids as you need to and determine by watching, who is using their Bid Buddy. It will saves you from wasting yours and others bids. 3. USE your Bid Buddy!! Can’t stress that one enough. 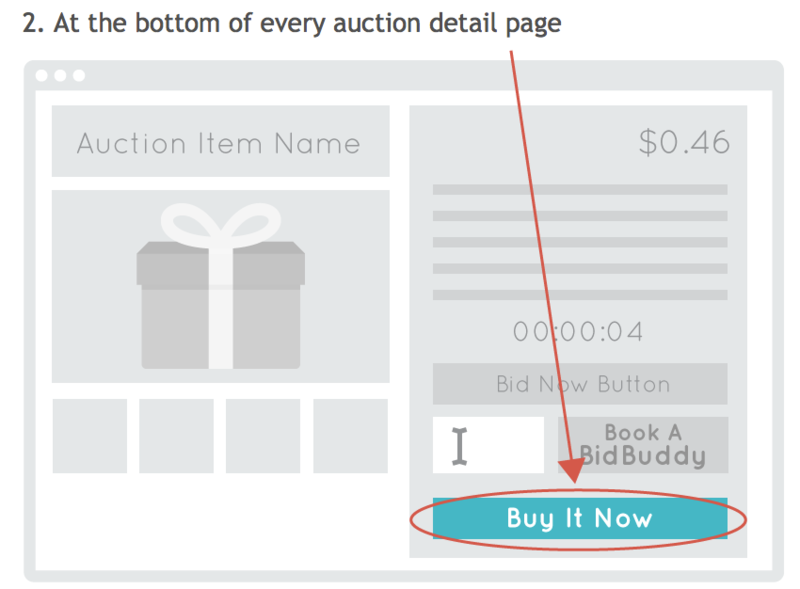 Learn how to utilize your Bid Buddy. 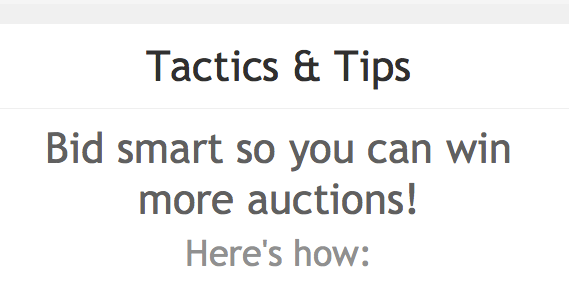 I have won many auctions by plugging in a few bids and letting them bid automatically. You won’t always win but you will never know till you try. I won my Yamaha 5.1-Channel Home Theater Speaker System valued at $350.00 for $0.37 using this method! 4. DON’T stomp, especially if you are a newbie! I just watched an auction where two newbies traded bids with each other for several minutes. Now I know you have not read any tips ! If you had you would know their are probably 4 or 5 others bidders, sitting back, watching you waste your bids knowing they have their Bid Buddy plugged in with several bids, just waiting for you to stop. If you had plugged bids in and watched, you would have let the timer run down and observed how many bidders were using their Bid Buddy because the bids are plugged in when the timer reaches 9. I gotta be honest, I never see a stomper win and all you really succeed in doing is raising the final price and many times, keeping the auction open longer, allowing more bidders to jump in. Just allow yourself some time to gain the knowledge needed to be a more successful bidder on DealDash.com and hopefully save yourself, and others, money! This entry was posted in Uncategorized and tagged advice, Auctions, Bidding, Deal Dash, DealDash, dealdash.com, new bidders, penny auctions, Strategies, Tips on June 27, 2014 by . One thing I love most about DealDash.com is the huge variety of gift cards regularly included in its auctions. Two of my favorite gift cards are Bed, Bath & Beyond and Home Depot. Of course, it is always nice to win those gift cards. Even if I do not win, however, and use the Buy-It-Now option (pay retail to get all my bids back free), I know it is money I would eventually have to spend, anyway. As a home owner, I know I will always need to shop at those two stores sooner or later. I recently renovated and updated one of the guest rooms in my house and that can become rather expensive. Thankfully, the gift cards I won on DealDash.com nearly paid for everything I needed to get the job done, so I had very little out-of-pocket expense. I used my Home Depot gift cards to buy paint for the ceiling and walls, as well as the paint rollers, brushes, tape and pans. My Home Depot gift cards also covered the steam cleaner I needed to steam clean the bedroom carpet. I used my Bed, Bath & Beyond gift cards to purchase the duvet, mattress cover, sheet set, matching curtains, pillows, bed skirt, mirror, two scatter rugs and picture to hang on the wall. Thanks to DealDash.com my renovated room looks awesome! Written by Barbara Sellers, aka sorrymyturn, resident of Tacoma, Wash., who has been shopping on DealDash.com since Feb. 8, 2012 and reached Level 43 with more than 450 auction wins. 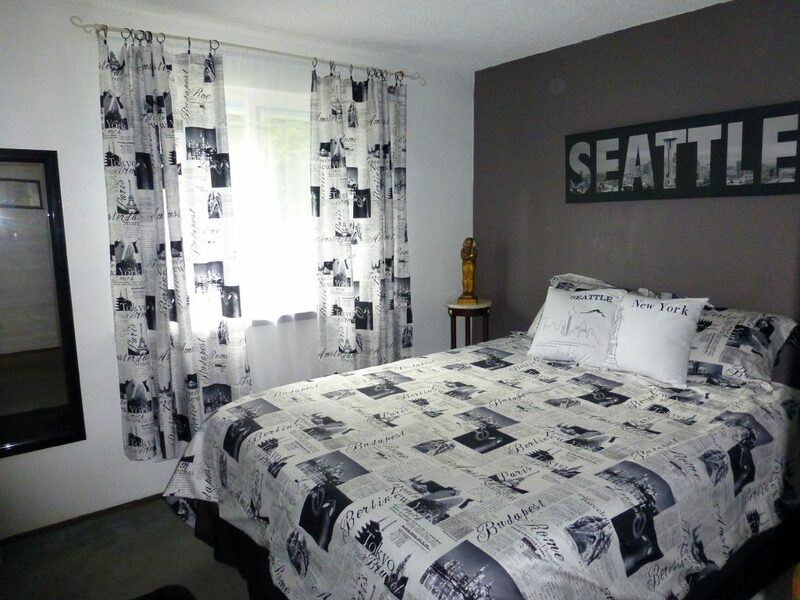 The mirror, curtains, duvet, pillows and picture on the wall were all purchased with Bed, Bath & Beyond gift cards from DealDash.com. The white and gray paint used on the ceiling and walls were purchased with Home Depot gift cards from DealDash.com. I won some of the cards and did a Buy-It-Now on the others. Regardless, it was money I would have spent, anyway, and the gift cards I won helped make it possible for me to renovate this bedroom. This entry was posted in Home, Review and tagged Auctions, Bidding, Deal Dash, DealDash, dealdash.com, gift cards, penny auctions on June 26, 2014 by .